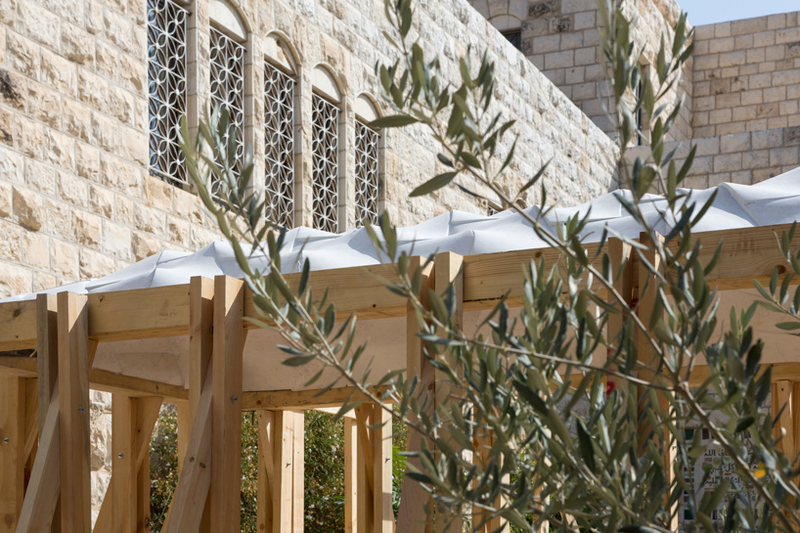 palestinian architecture firm AAU ANASTAS continues its investigatory series dubbed ‘stone matters’ with the latest project, ‘analogy.’ the series, comprises the group’s research into the fundamental tectonic elements of the city of jerusalem. historically, this taxonomy of elements is the result of disparate influences brought to the city by various civilizations combined with elements of local origin. through ‘stone matters,’ AAU ANASTAS investigates such elements as material practices, geometries, and methods of fabrication. 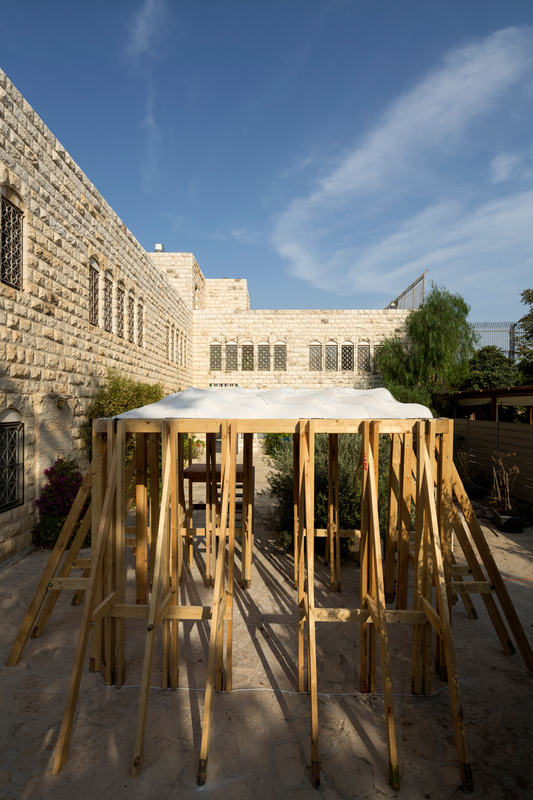 analogy addresses the recurrence of stone-made forms and spatial configurations in jerusalem across time in an effort to develop new expressions. 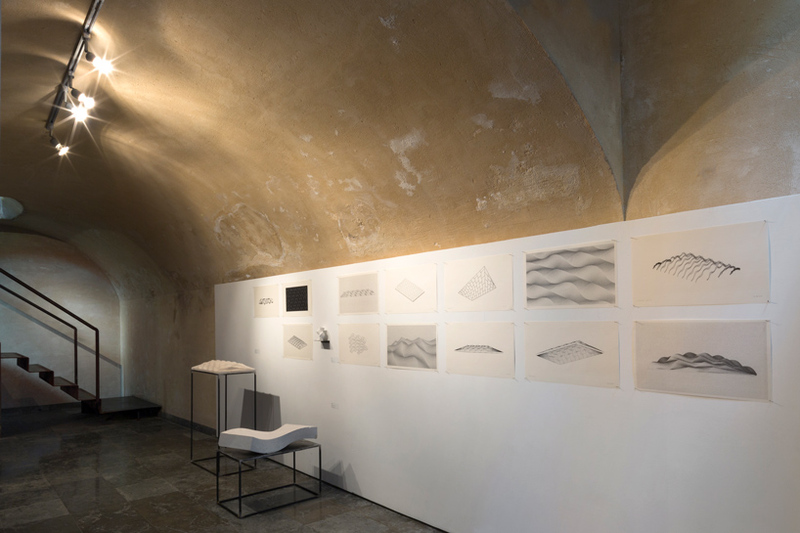 AAU ANASTAS‘ study of the stereotomy of the city’s urban fabric, ‘anatomy,’ is presented as a reinterpretation of a thirteenth century islamic vault typology. 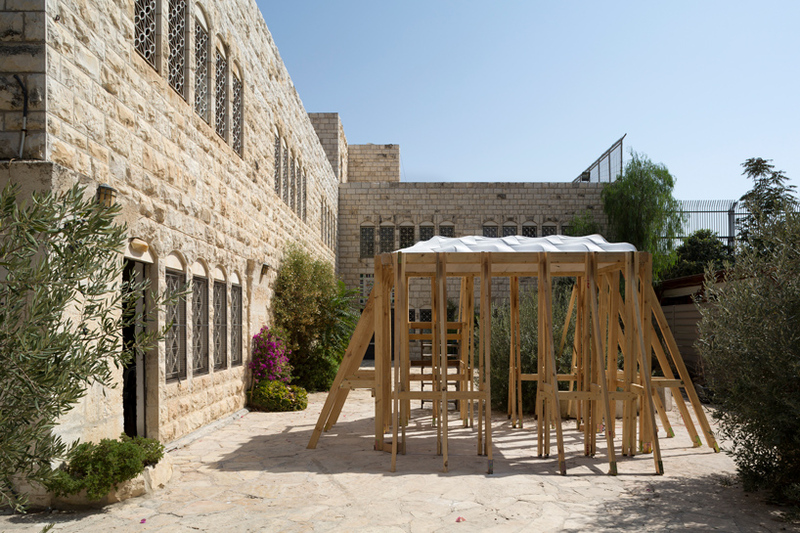 the vault, typically rectangular in plan, has been historically implemented both within a domestic palestinian context and within the palaces of the renaissance. 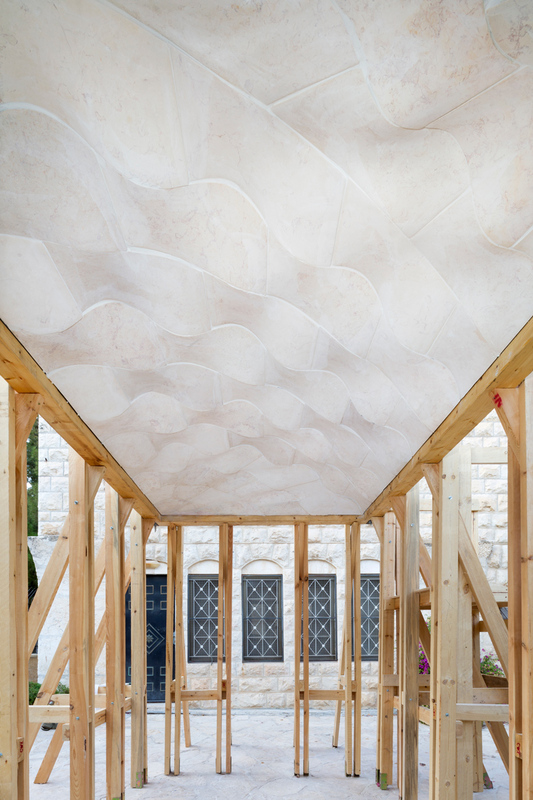 in response to this condition the group focused ‘analogy’ on the desacralization of stone as a building material, too often associated exclusively with noble constructions. through this effort, a tectonic language is developed in which contemporary programmatic needs are adapted and integrated with this ancient typology. 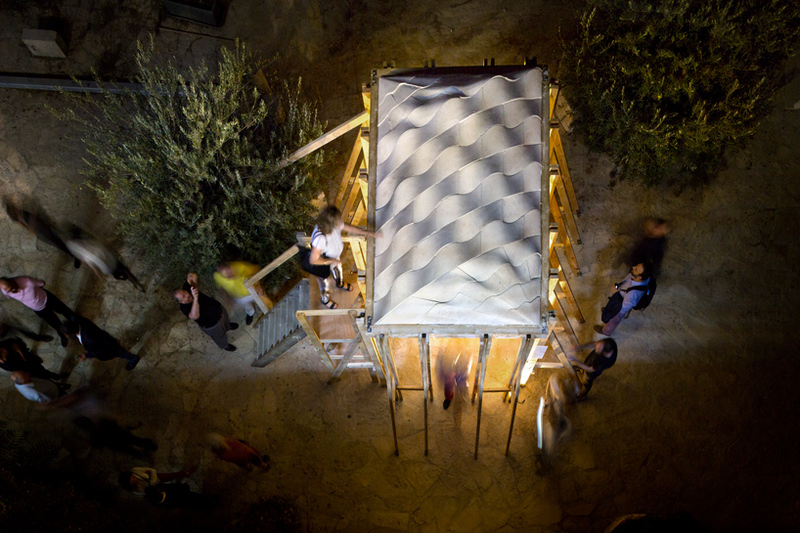 the installation debuted at the jerusalem show IX. 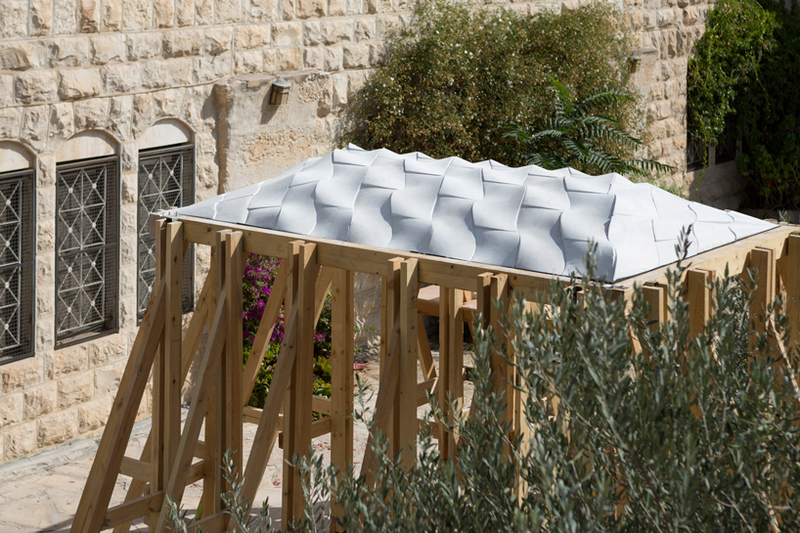 presented in jerusalem’s lutheran cloisters, ‘analogy’ consists of self-supporting stone voussoirs — wedged stones, typically implemented in the construction of an arch. 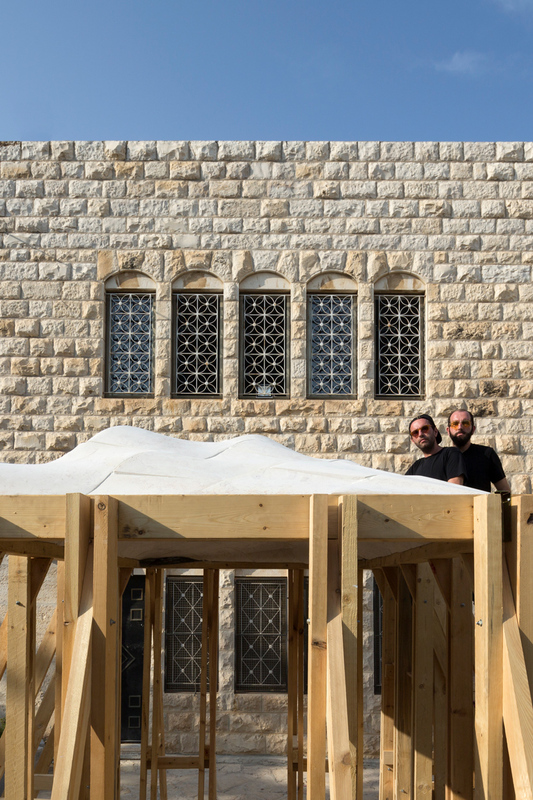 in the design of the stereotomy the group took influence from several lintels and vaults found throughout jerusalem. 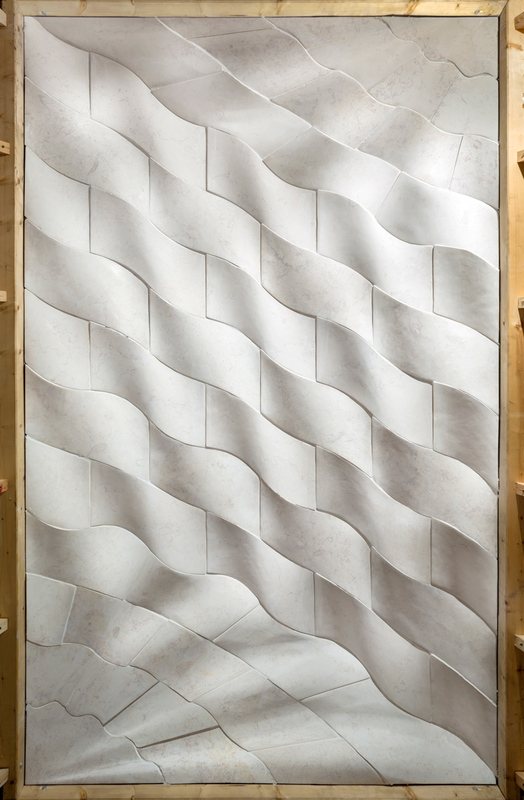 the sinusoid profile of each stone results in an undulating cumulative surface. 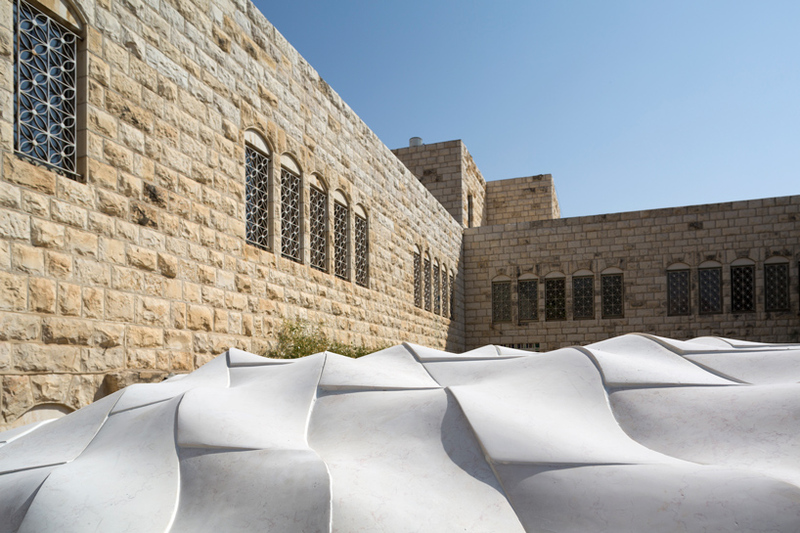 doubly-curved, ruled surfaces shared between each stone offer structural reciprocity.